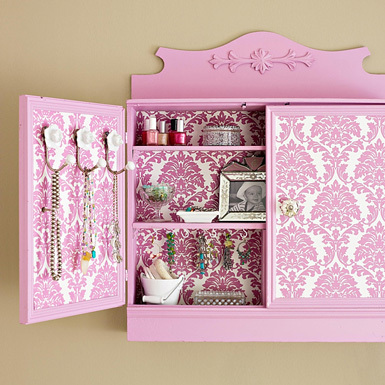 Wallpaper doesn't have to be just for the walls...there are plenty of creative ways to use it. 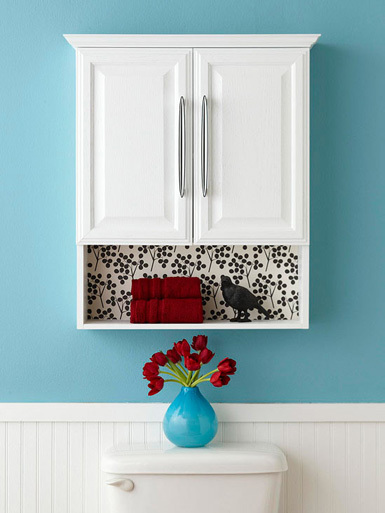 It can be a relatively inexpensive way to spruce up the back of a cabinet, ceiling, piece of furniture and more. 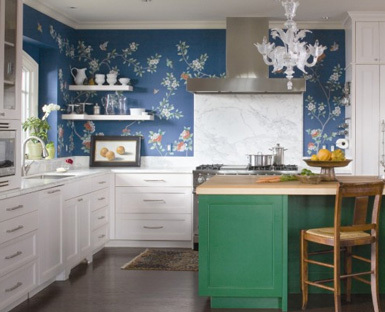 I've rounded up some great examples of how a little bit of fabulous wallpaper can go a long way. 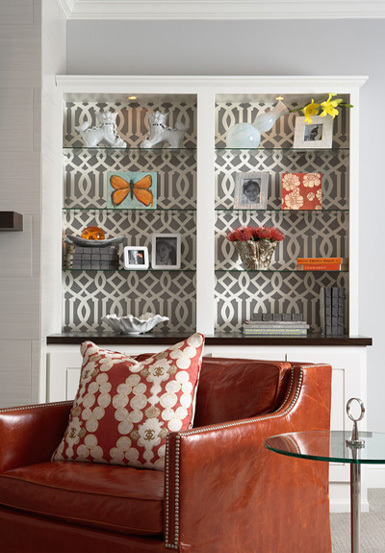 Have you used wallpaper for another application besides directly on the wall? Wonderful! 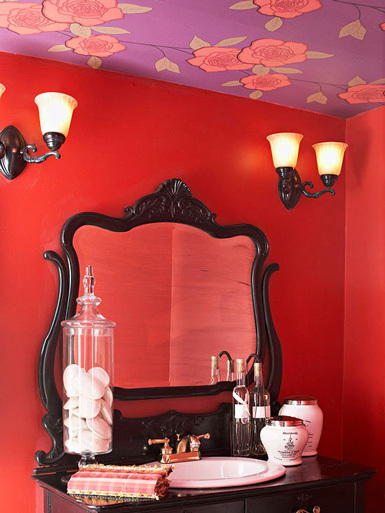 LOVE the wallpapered ceilings. A surprise pop of color. 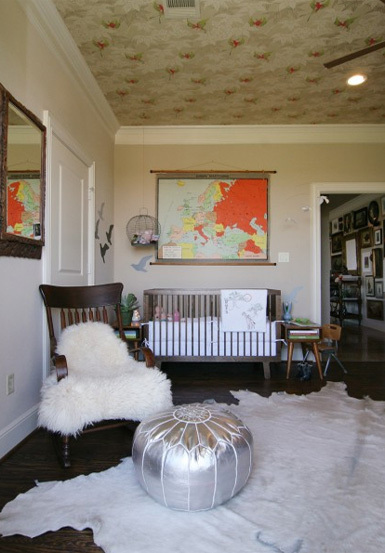 That nursery cutout is ingenious! Love the use of the negative space...awesome direction! Everything is beautiful. The ceiling is finally got our attention. That musn't ignored. I love bold florals on that ceiling! So many haute ideas for wallpaper. Gorgeous and innovative! Those are some great ideas! Thanks! 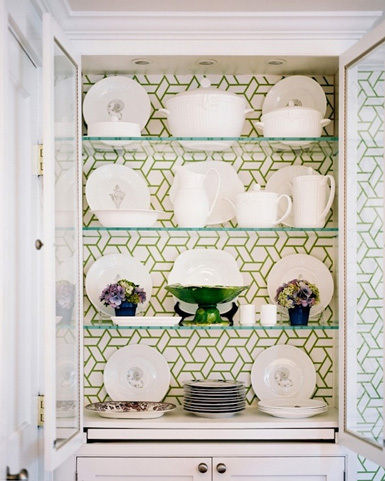 I love the idea of wallpapering cupboards and shelves, but it was the ceiling that really struck my fancy! 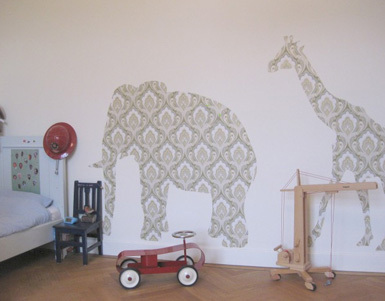 oh, i love the elephant and giraffe idea!!! wish i had thought of that for my sons nursery! never too late, i guess. 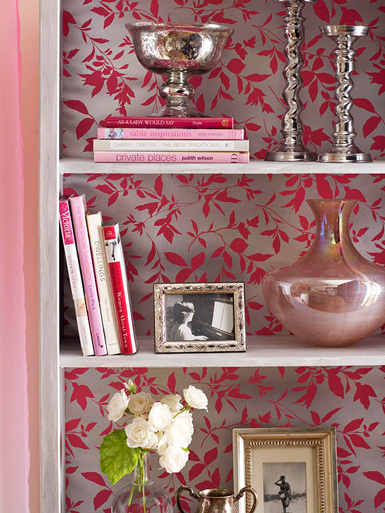 I've been wanting to line a bookshelf with wallpaper, but I don't know where I can buy a small amount wallpaper without having to buy enough for an entire room. Do you know where I can get just enough for a bookshelf? 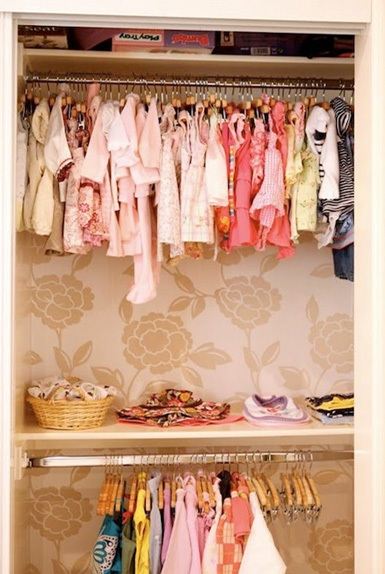 Love all these ideas, specially the one inside the baby closet! awwww, i love the elephant and giraffe! 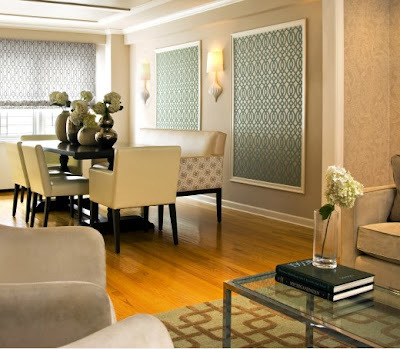 Awesome interior wallpapers are shared here,. I thinks it best to designed a bedroom easily,. 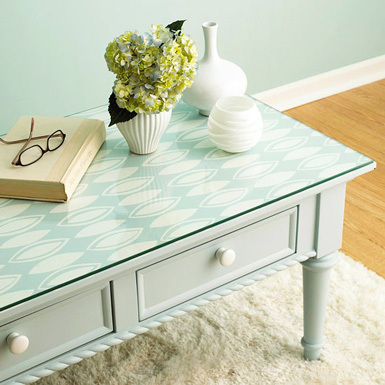 Wallpaper is a great way to "hack" Ikea and other budget-friendly furniture finds. Such a cool idea, thank you!